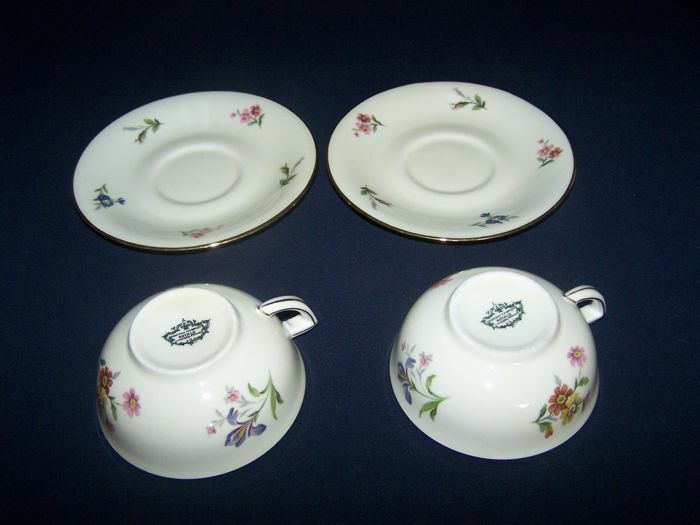 A Classic Vintage French "Limoges" "Ançienne Fabrique", "Royale" tea/coffee set. 15 pieces complete, floral design. 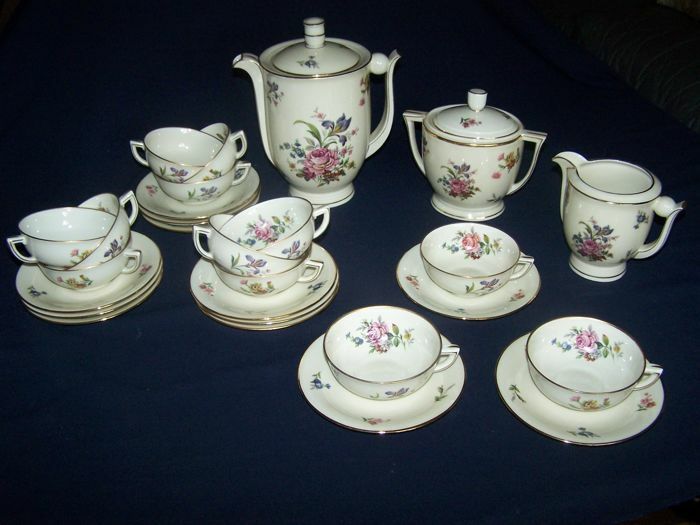 A classic French vintage 15 piece fine china tea/coffee set. 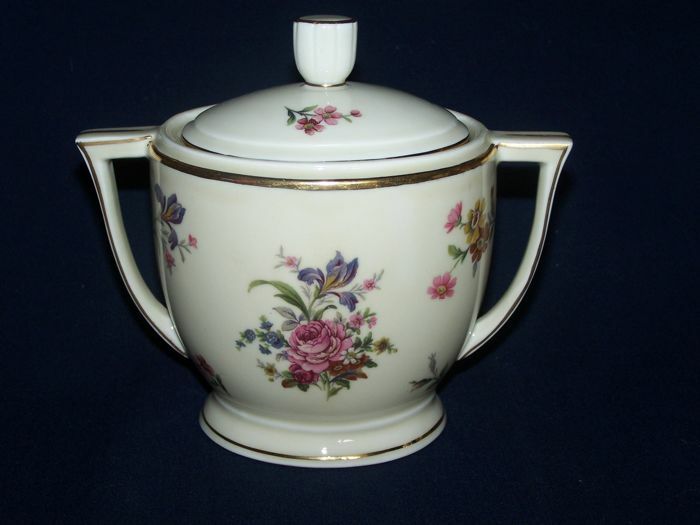 Manufactured in the mid to late 20th century by "Limoges", each delicate piece boldly stamped in the glaze "Ançienne Fabrique", "Royale", "Limoges France". 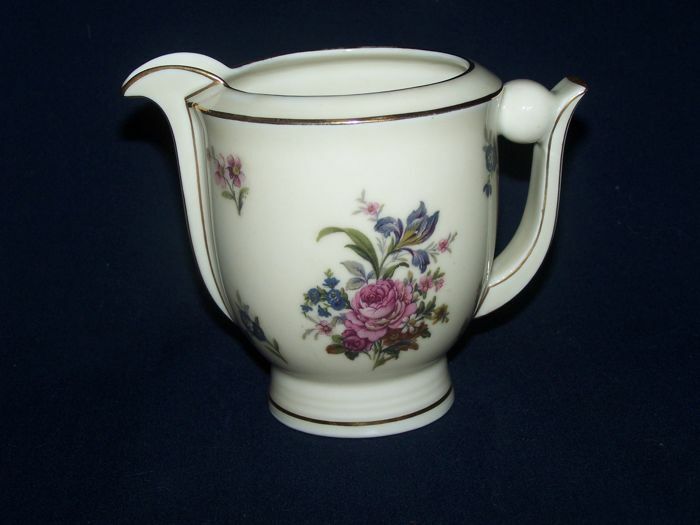 Finished in a delicate period floral design, pink and grey flowers on an ivory ground with fine gilt decorated highlights, each piece has been kept for many decades in an elegant display cabinet. 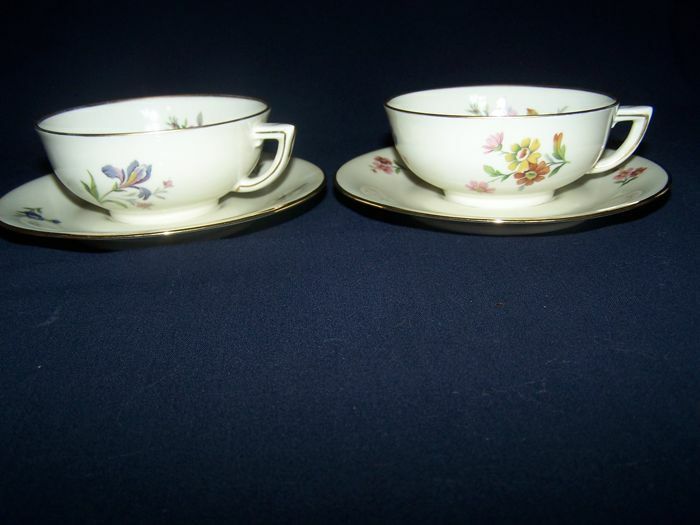 Belonging to my late mother this set has been loved and cherished and is in perfect condition. 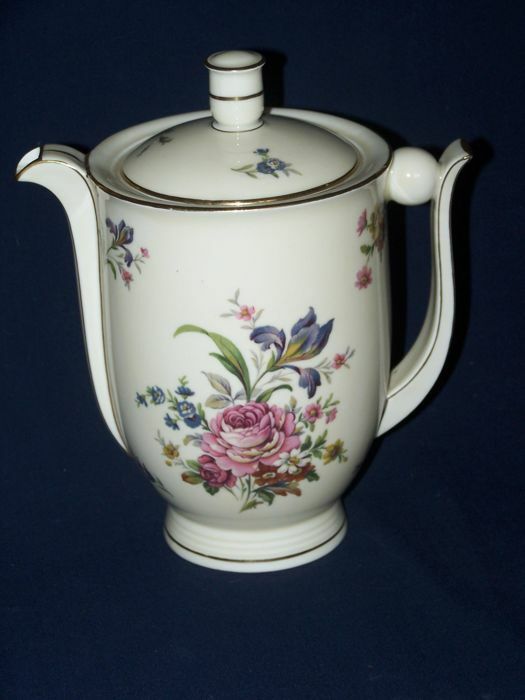 The beautiful complete set comprises of a Tea/coffee pot with lid (23 cms/ 9ins tall) Sucriere with lid (15 cms/ 6ins tall) Milk/cream (11 cms/4ins tall) 12 cups (4.5 cms/1.6ins tall) 12 saucers (15 cms/ 6ins diameter) Sizes approximate. 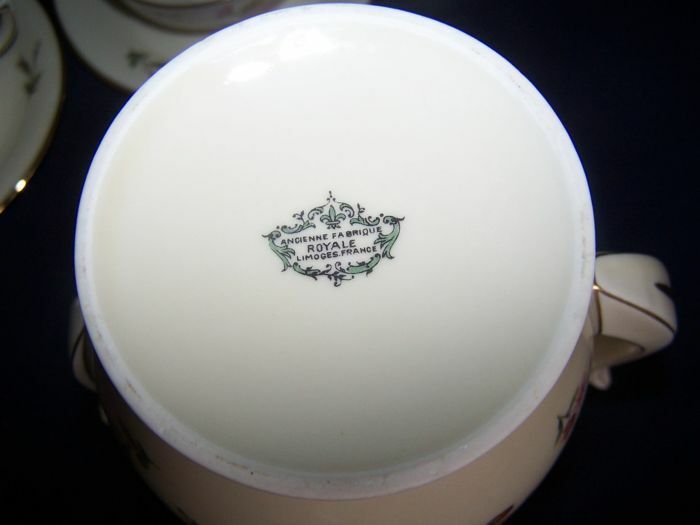 You can pick up this lot from the seller: Orvillers Sorel (Picardy), France.